Verizon Wireless has introduced the new BlackBerry Curve 9370 smartphone at the 2012 International Consumer Electronics Show (CES). The new BlackBerry Curve 9370 is the first Global Ready BlackBerry Curve for Verizon Wireless. It comes with quad-band connectivity with support for GSM, GPRS and EDGE, allowing customers to enjoy wireless voice and data service in more than 200 countries. BlackBerry Curve 9370 features a 2.44-inch display, 5MP camera with flash, Wi-Fi b/g/n, Bluetooth 2.1, GPS, microSD card slot with support for up to 32 GB cards, 2 GB microSD card pre-installed. Verizon BlackBerry Curve 9370 supports Near Field Communications (NFC), enables many capabilities, including the ability to pair accessories or read SmartPoster tags with a simple tap of the smartphone. Verizon Wireless also mentioned about BlackBerry 7.1 Update in the press release. The BlackBerry Curve 9370 will be upgraded to 7.1 in an upcoming software update. RIM BlackBerry 7.1 OS will also soon be available for the BlackBerry Bold 9930 smartphone and the BlackBerry Torch 9850 smartphone. Customers will be able to take advantage of mobile hotspot capabilities on both smartphones. Customers will be able to share their 3G connection with up to 5 Wi-Fi enabled devices. The new BlackBerry Curve 9370 smartphone will be available in Verizon Wireless Communications Stores and online at verizonwireless.com on Jan. 19. BlackBerry Curve 9370 smartphone will be available for $99.99 after a $50 mail-in rebate with a new two-year customer agreement. Customers will receive the rebate in the form of a debit card; upon receipt, customers may use the card as cash anywhere debit cards are accepted. Customers that purchase a BlackBerry Curve 9370 smartphone will need to subscribe to a Verizon Wireless Nationwide Talk plan beginning at $39.99 monthly access and a smartphone data package starting at $30 monthly access for 2 GB of data. 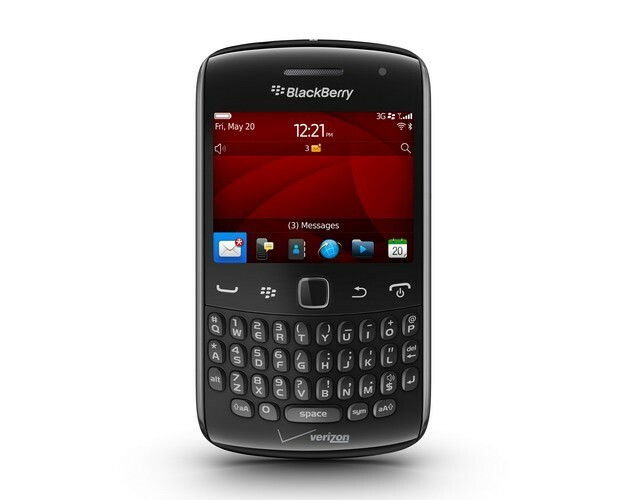 0 comments on "BlackBerry Curve 9370 to be available on Jan 19 from Verizon Wireless"